From the moment of birth, through childhood, adolescence and on through adulthood. 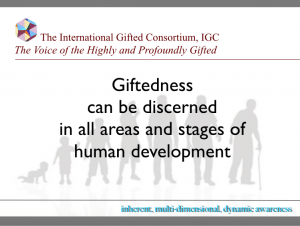 Giftedness just doesn’t appear in 2nd or 3rd grade when school districts determine who is gifted. It begins from infancy and stays with you through adulthood.